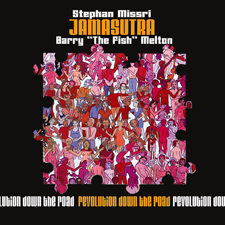 Barry ‘The Fish’ Melton, guitarist and co-founder of the legendary San Francisco Bay Area duo and band, “Country Joe and the Fish”, together with renowned Parisian guitarist Stephan Missri, are pleased to announce the release of “Revolution Down the Road”, a bilingual French/English neo-psychedelic music album that also features the spectacular Danish bassist, Charles Jannic, and well-known French drummer Christophe Rossi, former editor of the French drumming magazine, Batteur. The new album is released under their collective band name, Jamasutra. 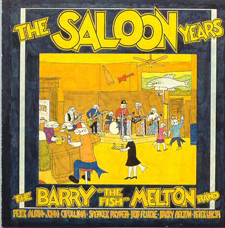 "The Saloon Years" is a release featuring a selection of songs recorded with various versions of my band between 1982 and 1994. 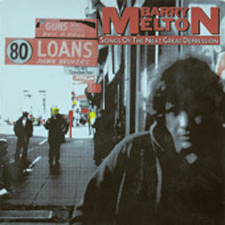 All of the cuts on the album were recorded at The Saloon, one of San Francisco's oldest nightspots. The Saloon traces its history from the mid-19th-century days of the Barbary Coast, survived the '06 and '89 quakes, and stands today as a North Beach landmark. The album features my friends Peter Albin (bass [see above]), John Cipollina (guitar [see above]), Spencer Dryden and David Getz (Drums [see above]), and guitarists Bob Flurie (HooDoo Rhythm Devils) and Peter Walsh (Seatrain and the Commander Cody Band). 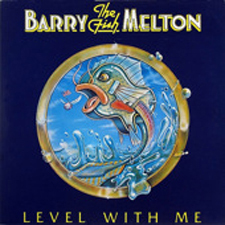 The band was always billed as the Barry "the Fish" Melton Band, but in more recent years, I've come to think of the band as Middle-Aged Men With Musical Instruments. We had a big record release party at The Saloon, 1232 Grant St., San Francisco, on July 25th and 26th, 1997. Released June 01, 1981, this album can be purchased for $7.99 or per song at .99 on iTunes. Please click on the iTunes logo to purchase via iTunes. The album is also available on amazon.com for $7.99 or per song at .89. Please click on the amazon.com logo below to purchase via amazon. Please note that if you download the whole album it is cheaper than paying per song. Released September 1, 1979, this album can be purchased for $7.99 or per song at .99 on iTunes. Please click on the iTunes logo to purchase via iTunes. The album is also available on amazon.com for $7.99 or per song at .89. Please click on the amazon.com logo below to purchase via amazon. Please note that if you download the whole album it is cheaper than paying per song. An autographed copy can be purchased for $14.99 (tax included), plus $5.00 shipping by sending a check or money order payable to Barry "The Fish" Melton, PO Box 980983, West Sacramento, CA 95798. We will be setting up an online payment opportunity soon.